Thanks to the many sponsors that sent samples in order to conduct this years Holiday Entertaining wish list items. If you entertain as much as we do over the holidays, having some items that make it easier are key. 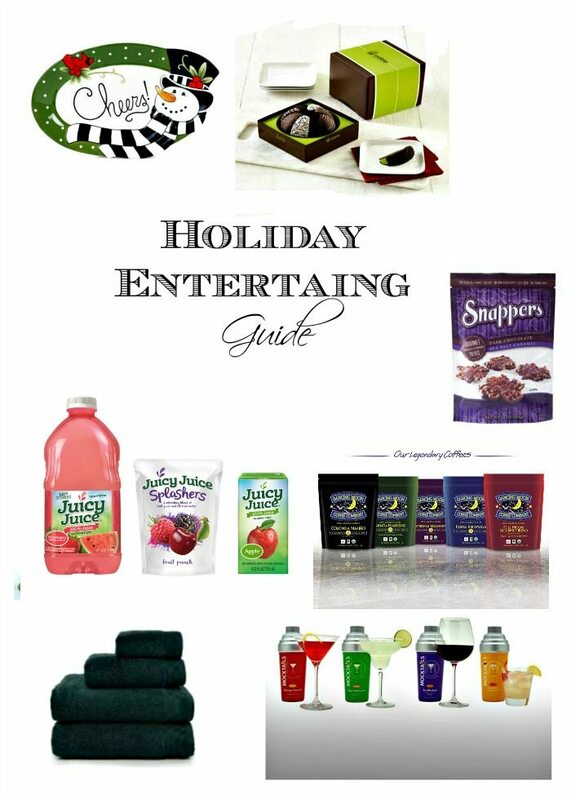 Here are a few items that will make holiday entertaining easy. 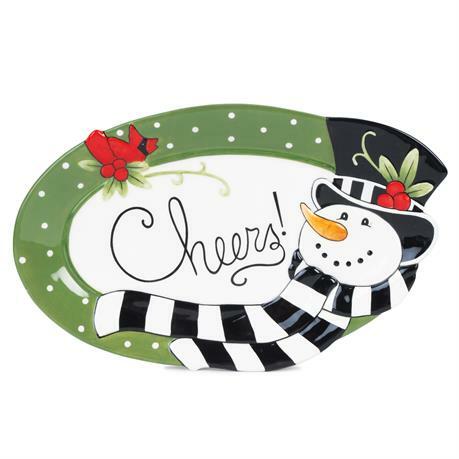 Many of them make great hostess gifts as well so keep them on hand. Always good to have plenty of festive platters on hand. These Fitz and Floyd platters are festive and not that expensive. Grab a few as they make great gifts too. Need a centerpiece that also serves as a food item? Consider Edible Arrangements they have items in so many different price ranges. 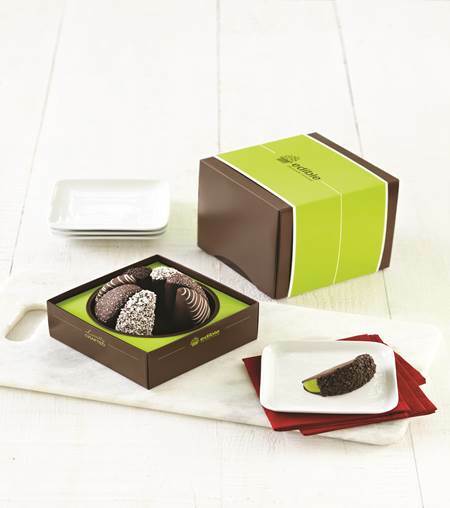 Also when you are headed to an event, consider this yummy chocolate covered apple as a hostess gift. Tart Granny Smith apple wedges covered in creamy caramel are dipped in gourmet semisweet chocolate, then topped with vibrant red cranberries and green pistachios for a great burst of flavor and texture in every bite. Always locally crafted with care for the perfect taste and presentation! It is so nice to have fresh fruit out during the cold winter months. For the Bar: When setting up your bar, consider guests that might not drink alcoholic drinks. 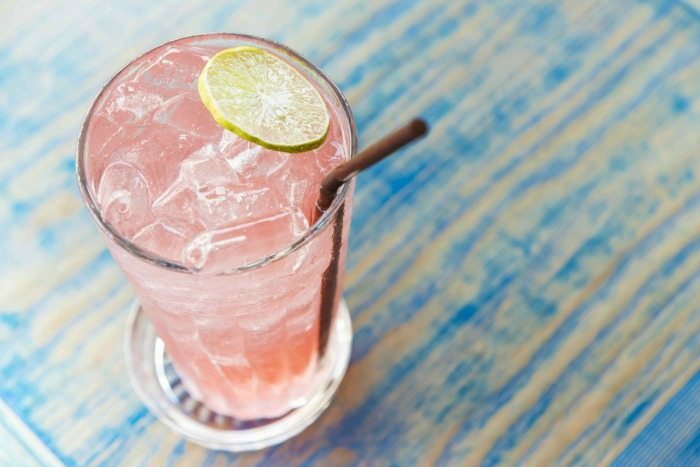 Skip the sodas and have some Mocktails Brand Non-Alcoholic Cocktails. They are delicious, fun, ready to drink, and the convenient reusable glass shaker bottles make them easy to serve. A great way to offer all of your guests something special, and say goodbye to the mess of mixing cocktails. Just add ice, shake, pour into cocktail glasses, and enjoy. Add your favorite spirit by the glass for the perfect cocktail. And if you are the guest, what a great gift to bring along. Perfect for the holiday season to ensure a safe ride home! These better-for-you mixers are all natural with no preservatives, no high fructose corn syrup, and they’re low calorie. They are also gluten free, allergen free, BPA free, made in the U.S.A., and kosher. The R.S.V.P. Skinnies come in three favorite flavors including Baja Margarita, Miami Breeze and NY Cosmo and take only seconds to make. Simply just mix one cocktail skinny packet into 1oz of your choice of liquor and 6oz’s of water, stir or shake in a cocktail mixer and enjoy! Younger Guests: Don’t forget about the little people that will be visiting your house. Have plenty of Juicy Juice in the fridge. Otherwise they will hit the soda table and you will have kids bouncing off the walls. Think about taking this yummy Christmas Cheer Mocktail for the kids. For younger kids, you can put a colorful selection of Juicy Juice boxes in an open cooler or bucket of ice so they can serve themselves. Dancing Moon Coffee stands out as a premium brand that’s small batch, single source, strictly organic, mold-free and fair trade compliant, using only the highest standards in roasting. The product line focuses on beans from the world’s best single source plantations. Of great importance to me is that a portion of the proceeds of every sale of Dancing Moon Coffee goes to the Semper Fi Fund, set up post – 9/11 to provide immediate financial assistance and lifetime support for the wounded, critically ill and injured members of the U.S. Armed Forces and their families. Offered in four flavors (Original, White Cheddar, Naturally Sweet and Black Pepper) to suit all friends and family members! You can eat it like it is straight out of the bag or make one of my yummy popcorn treats. Snappers® snacks are award-winning gourmet chocolate, caramel, and pretzel treats that combine legacy and tradition for savory caramel, specialty peanut butter, proprietary pretzels, and signature chocolate blends. The perfect bag to have on hand to throw in a decorative bowl or put a bow on them and have for a great hostess gift. NEW Holiday scents from Essenza Luxury Hand Soap including Frosted Fir, Peppermint Bark and Sugar Plum that are perfect for gift giving or adding festive décor to a Holiday home this season! Budget-minded shoppers who are looking to add a fragrant holiday touch to their home or to pamper a deserving recipient will find what they’re seeking in the new Holiday scents from Essenza™ Luxury Hand Soap. Just in time for the holiday decorating and gift-giving season, Essenza has added three new festive scents to their line up including Frosted Fir, Peppermint Bark and Sugar Plums. Each fragrance comes in a 12-ounce pump bottle and is affordably priced at just $3.99. Overnight guests feel right at home with a good pair of towels. 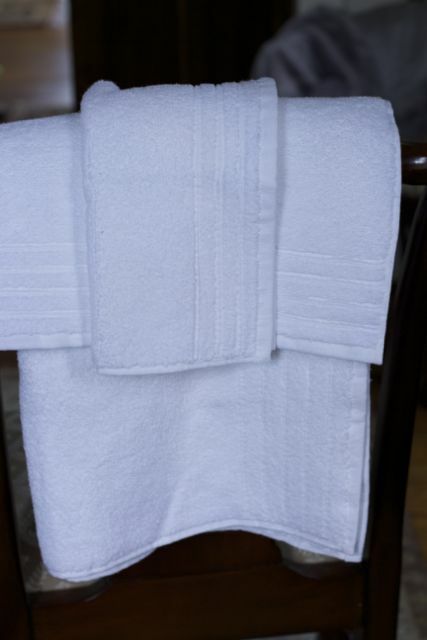 Be sure to have plenty of guest only towels around so you know you have a clean set. Micro Cotton, the makers of the softest, most absorbent towels on the market, has a variety of towel lines in an array of colors. Rich teals, muted mauves and pear tones – are all hues that will bring warmth to an otherwise stark space. MicroCotton’s towels not only come in many different shades, but are made with a patented spinning process to ensure the softest, most absorbent towels on the market. Below I have included images of the towels currently available at retailers. Maybe this next item is more for you than your guests. Make up the beds in these flannel sheets from Perfect Linens. (well you may not want your guests to stay that long) . 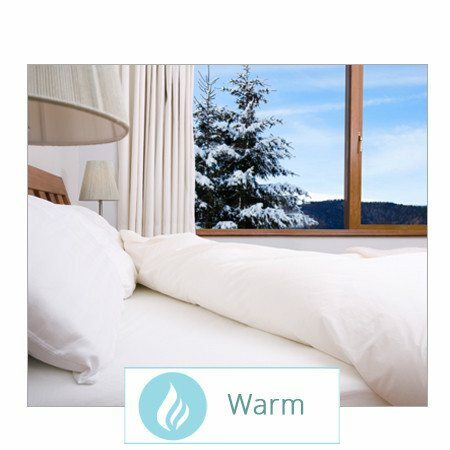 Perfect Linens is giving away one set of these amazing sheets, warmest, coziest flannel sheet from Europe to one of my readers. If you don’t win be sure to buy yourself a pair and get 15% off your sale with this code HomeHolidays15. Which Items would you find most essential in your holiday entertaining needs? 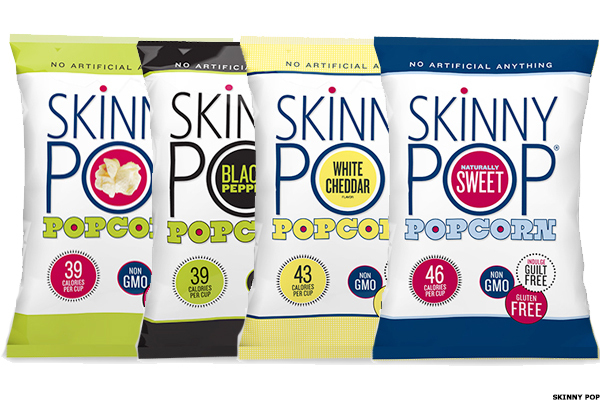 The Skinny Pop – I always worry I won’t have enough low-cal options at holiday parties and meals. The snacks are most essential in my book! Dancing Moon Coffee because Christmas morning comes early when theres little ones about. We could really use some more sheets around here!! They look really nice too. Happy holidays. The Mocktails Brand Non-Alcoholic Cocktails would be nice for the kids and those who don’t drink alcohol. I love the edible arrangements idea. Great for Any get together. The Mocktails would be fun for kids or friends who don’t drink. I would really like the Dancing Moon Coffee for my holiday guests. I’m sure the aroma is wonderful. I would love the Dancing Moon coffee. The sheets would be wonderful for all my holiday guests now that its freezing out! I like the Christmas Cheer Mocktail for the kids. The Fitz and Floyd platter would get some good use out of it. We like to entertain. So many great options and the chocolate sounds so good! I would have to say though, the Mocktails Brand Non-Alcoholic Cocktails are so neat! I could use the Mocktails for kids. I love trying out different coffees, so the Dancing Moon Coffee sounds great to try!